Welcome to my web site! 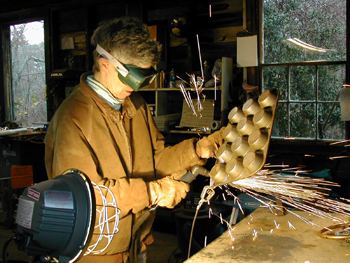 I am an artist in Falmouth, Massachusetts, who works with metal and glass, using recycled materials for both. I love what I do. My Web Page is dedicated to all those who have helped me with my art.